MK Schneller's proposed “Anat Kam law” would create a new legal category to describe a new kind of cyber age spying. MK Otniel Schneller (Kadima) has proposed a bill that would define an increasingly common and dangerous security offense in the cyber age. The “Anat Kam law,” as it has been dubbed, would create a new category of offense to describe a situation in which a person gathers classified military material and uses it to harm national security, but does not actually spy on behalf of an enemy. The bill was approved Sunday by the Ministerial Committee for Legislation, and will face a first round of voting on Wednesday. Currently, a person who illegally obtains classified security material can be charged with illegal possession of the material or with spying. There is no category to describe an offense more severe than the former, but somewhat less severe than the latter. The bill was inspired by the Anat Kam case, Schneller said. “The difference between actual spying and undermining state security is a small one; both are very serious. Anat Kam's actions were almost as severe as spying even though they did not fall into that category technically, and this proposed law would clarify the severity of using classified security information without authorization, for purposes that undermine state security,” he explained Sunday. The bill would set punishments for two similar offenses. A person who illegally shared classified information with the intent of harming state security would get 15 years in jail, while a person who illegally shared such information without the intent to harm would be sentenced to 10 years. In addition, a person who deliberately takes possession of classified information without authorization would face seven years in jail, and a person who attempts to enter an area classified as secret would face three years. 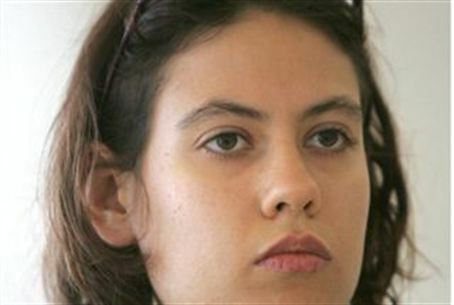 Anat Kam is accused of having stolen thousands of classified military documents during her service in the IDF by copying them onto a thumb drive and removing them from IDF premises. She might have taken documents whose contents exposed secret plans, strategy or endangered lives of soldiers. What is known is that she passed many of the documents to Haaretz reporter Uri Blau, who used them to write a report accusing IDF soldiers of assassinating terrorists despite a Supreme Court ruling ordering the army to favor arresting them. Many readers canceled their subscriptions to Haaretz over Blau's involvement. The case against Kam unfolded over the course of several months during which she was under house arrest. Kam is believed to have been motivated by far-Left political ideology. In February, she reached a plea deal that will ensure she does not face more than 15 years in jail.